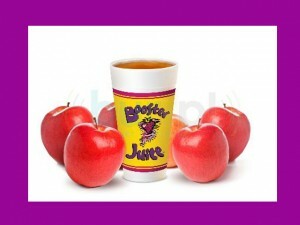 Booster Juice is a natural juice manufacturing company based in Edmonton, Canada and with branches in 5 other countries. Its main products include smoothies, frozen and fresh yogurt, frozen foods and ice. They operate fast food-style restaurants. The history of Booster Juice began when two friends, Jon and Dale went on a camping trip to Oregon. The friends decided to open a juice bar in 1999 when they found out that there weren’t any juice bars in Canada. When they returned to Canada after the trip, Dale started studying the market of fruit juices. A few months later, he set up a small place to produce juice in his basement and garage. He bought blenders, fruits, and other equipments to make juice. He started doing experiments using different fruits, and his friends and neighbors helped him by tasting the products. He continued his experiments for almost five months and worked 18 hours a day to come up with the perfect recipe for making fruit juices and smoothies. In November 1999, the first shop was opened. It was located in Sherwood Park in Edmonton, Canada. Dale couldn’t make much profit during the cold winter months. However, a miracle happened in January, which made him aware of the bright future of his company. On a January night, he got a customer who drove a long way from his home with his family just to get a smoothie from his shop. Dale and Jon expanded the business by adding franchises. This idea became successful, and the sales of the company increased tremendously. Dale and his partners marketed their products as a healthy alternative to unhealthy soft drinks. They targeted families who preferred healthy foods for their children. Within a year, 15 shops had opened in Alberta. Booster Juice started its expansion nationwide, and in 2007 the company had 50 juice shops in Canada. The following year saw further expansion of the business resulting in the opening of 100 stores in all parts of Canada, from coast to coast. By 2003, it reached the USA. They also opened a shop in Dubai in the United Arab Emirates in the Middle East and several other countries. More healthy eating products, juice and smoothie flavors are periodically introduced. Today, the company has 200 stores in the U.S. alone.